By combining higher horsepower engines with the reversibility, reliability and convenience of hydraulic drive, Little Beaver Hydraulic earth drills are ideal for drilling in rocky or heavy clay soils. With their extra torque, these powerful earth drills can handle augers up to 16″ in diameter and can drill depths of up to 30′ with 12″ or smaller diameter augers, depending on soil conditions. 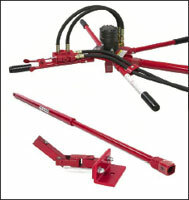 A forward/reverse lever lets you remove the auger if it gets caught under an obstruction, such as a rock or tree root. 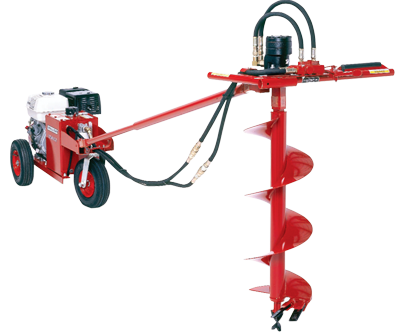 See our auger options here. Even with all this power, most hole drilling remains a one-man operation, thanks to our exclusive torque tube. The torque tube eliminates the kickback common with competitive earth augers, making one-man drilling safe, fast and productive. Convenient front and rear handles make it easy to load the Hydraulic earth auger into and out of your truck. Mechanical vs. Hydraulic: How do you choose? Check out our quick guide for choosing the right drill for the job! To complete your Hydraulic earth auger, choose one of our three handle options. All handles feature a self-centering control valve for return to neutral when released. The one-man handle is used for ordinary hole drilling tasks. The 150 RPM motor generates 225 ft. lbs. of torque to drive augers up to 9″ in diameter. An optional 220 RPM motor is available when higher speeds are desired. Choose the two-man handle for drilling larger diameter (10″–16″) or extra deep holes. It features a standard 150 RPM motor. Faster (220 RPM) and slower (125 RPM) motors are available as options when hole digging requires greater drilling speed or added torque. A high-torque anchor handle is designed for anchoring mobile homes or light utility work. At 60 RPM, the standard anchor handle generates 360 ft. lbs. of torque. Optional 125 and 150 RPM motors are also available and are ideally suited for driving bucket augers when performing foundation repair work. The Telescoping Torque Tube Kit allows the power source to remain on a vehicle while the included two-man handle is used to drill holes up to 11 feet away. The kit is perfect for drilling along roadways or other accessible areas, and also allows attachment to any equipment that has auxiliary hydraulic connections. 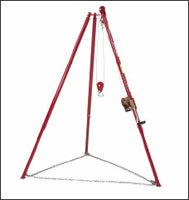 The Little Beaver Tripod Kit allows controlled drilling and easy 4″ auger removal up to 35′ deep. Designed for soil sampling and geophysical work, the Tripod Kit features fast set-up and a hand winch, and is compatible with both one- and two-man handles. The General Purpose Hydraulic Power Source powers Little Beaver earth drills and a broad array of other hydraulic tools, including concrete saws, breakers, tampers, and chain saws. 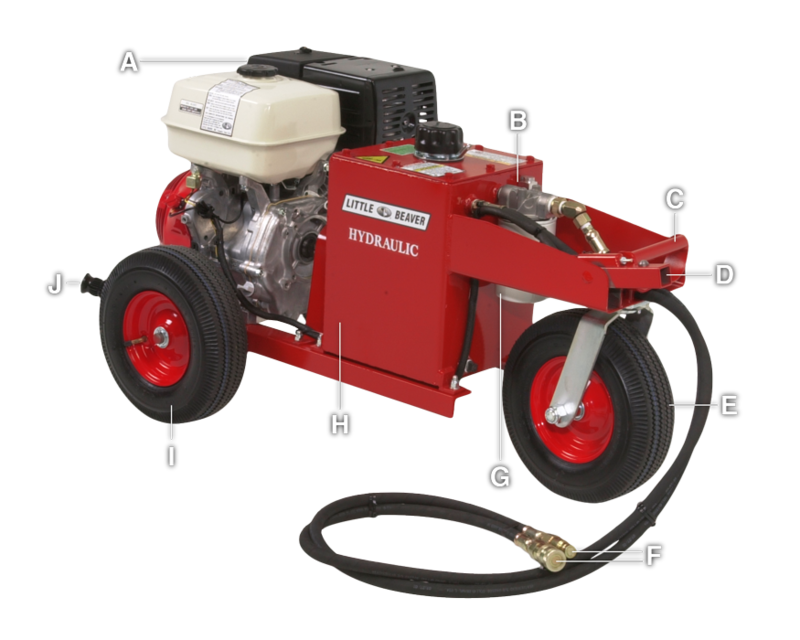 This versatile Power Source features an attaching point for the torque tube, oil cooler with 10″ fan and a 4 gallon fuel tank for dependable, all day operation. The Power Source can be secured in the back of a truck or mounted on optional two or three wheel carriages for in-the-field portability and maneuverability.